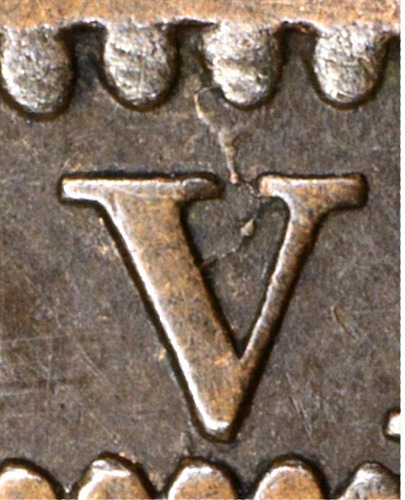 * Indicates a likely die state not yet seen. 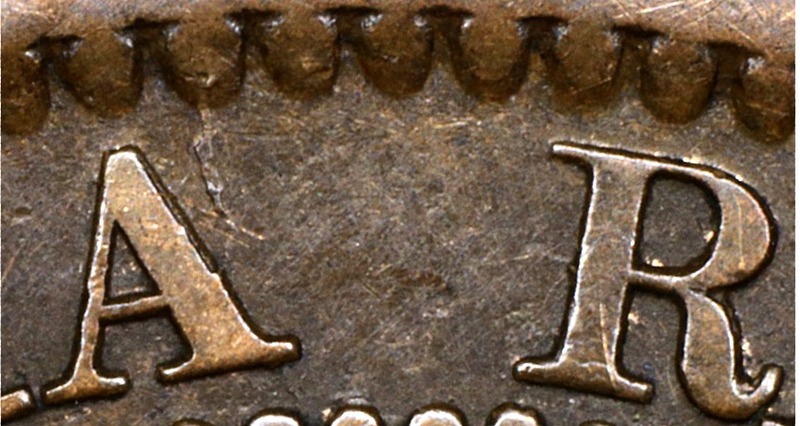 Slash ( / ) indicates either or both die states are possible. 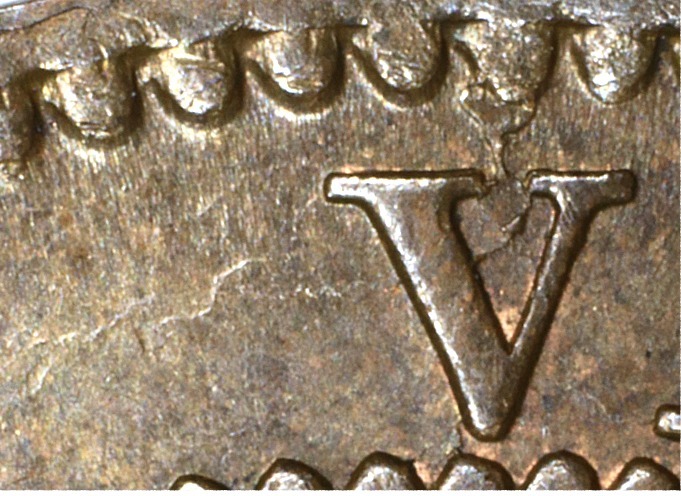 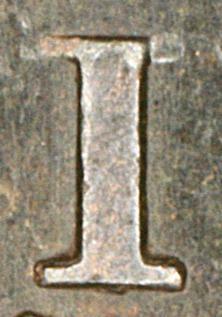 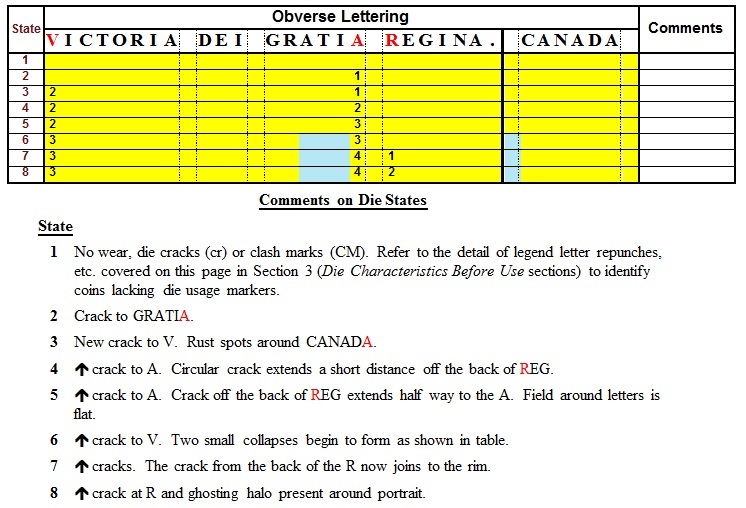 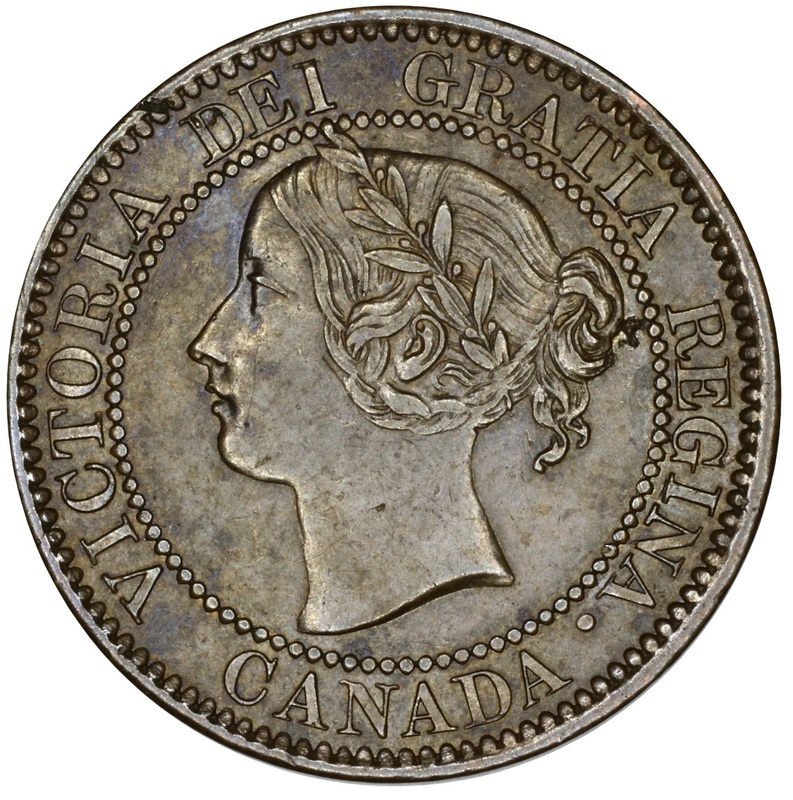 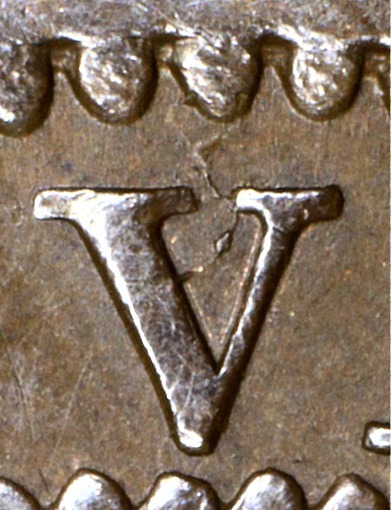 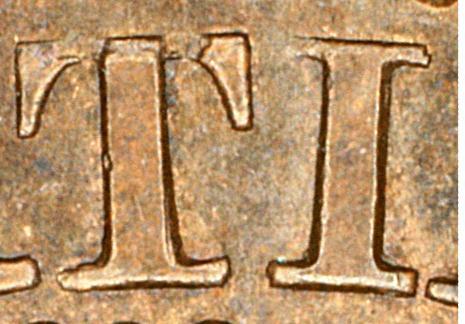 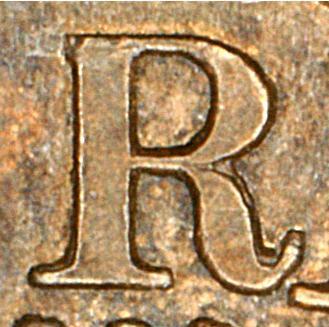 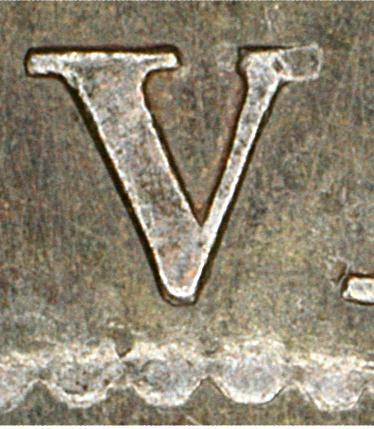 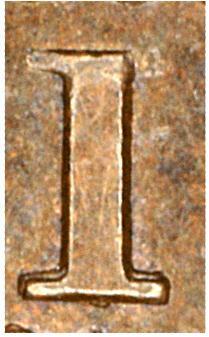 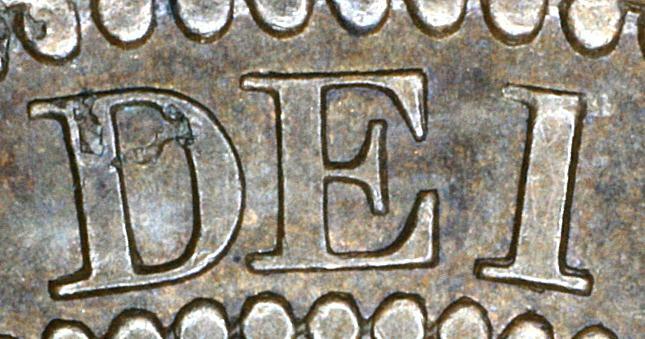 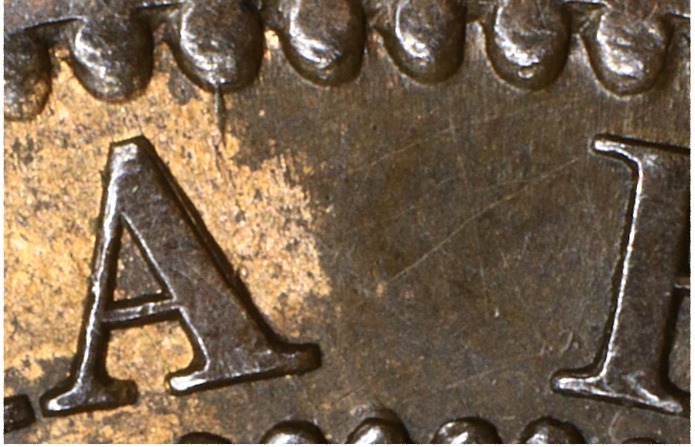 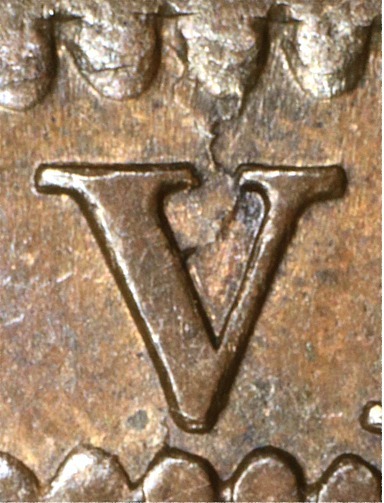 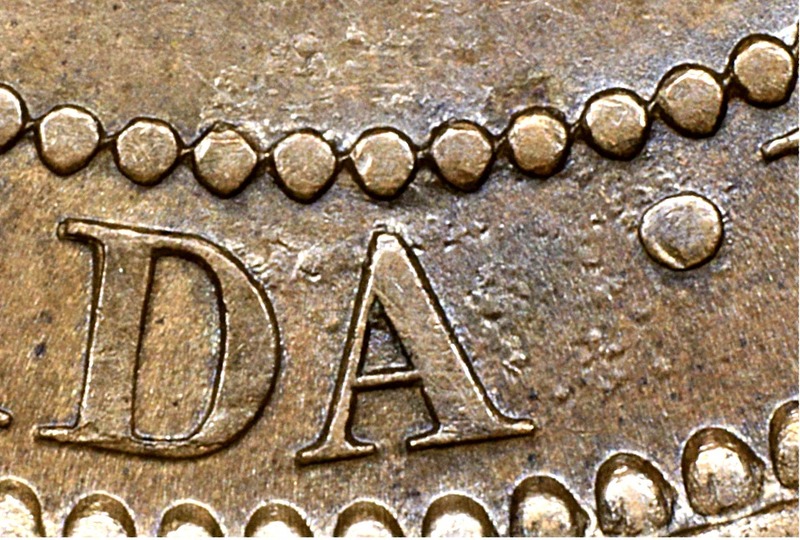 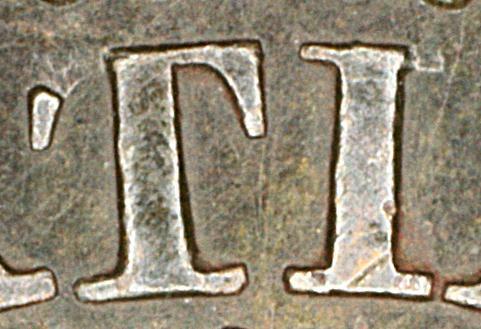 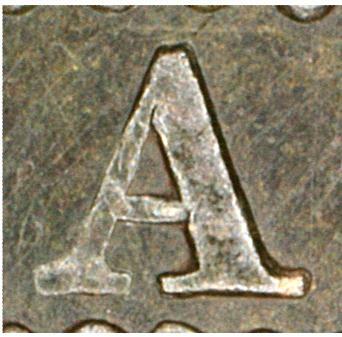 By far the easiest way to ID this obverse is by looking for the Repunched I over I in REGINA, there is no other die that has anything close to this marker.